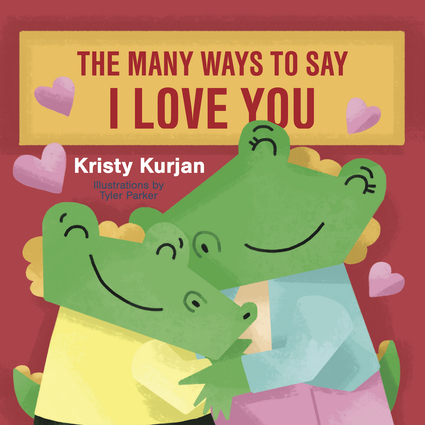 This book illustrates how to enjoy the gift of love with friends and family. From a high-five to a belly laugh to time shared in play, kindness and joy are simple pleasures that are found throughout life's journey. The early reader style poetry shows special moments children share with their loved ones: "When holding hands to cross the road… mom squeezes three times, it is our special code." The colorful and quirky illustrations make this book enjoyable for babies, toddlers, and adults. Kristy Kurjan is a writer, stylist, and creative entrepreneur. She enjoys running, boating, and reading to her family. She is the author of Dream Sweet Dreams and Nap-A-Roo. She lives in Traverse City, Michigan. Tyler Parker is an illustrator and ukulele enthusiast. His background is in sequential design. He is the illustrator of Dream Sweet Dreams and Nap-A-Roo. He lives in Seattle, Washington.